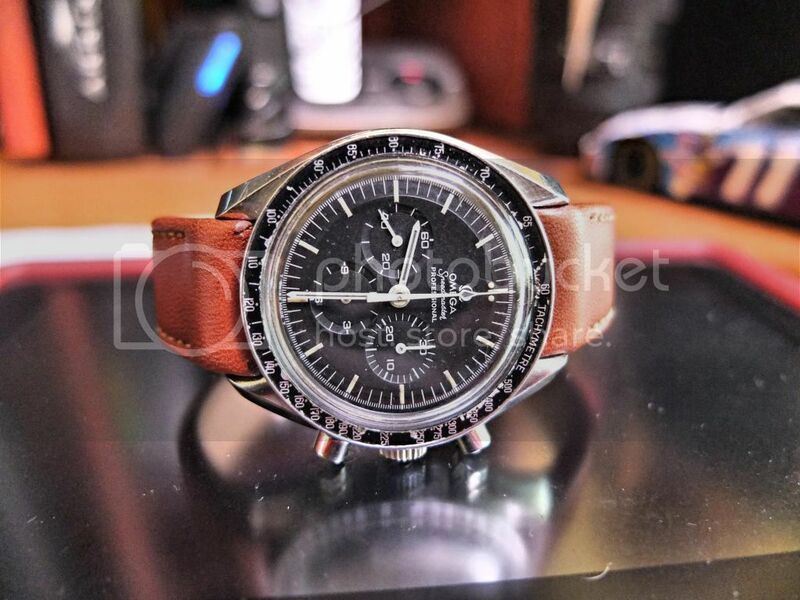 Sooo...I was browsing the 'net, doing some virtual shopping, when I came across a picture of a Speedmaster on a Hirsch Rugby strap. Cool. Curved ends, and a nice color. Looking further, I see that they average around $65.00. Looking even further, I find it cheaper because somebody neglected to convert it from euro/pound to dollars. End result, after contacting sellers and pointing out the error, I get it for the dollar amount posted, about 60% of what it's usual price is. I think it looks great, and when it "wears in" a a bit, it'll fit like a glove.